This year, the Centers for Disease Control and Prevention (CDC) released data on the state of "diabetes" in the United States. The CDC allows you to see the data by gender, ethnicity, age etc...but fails to break down the diagnoses by type. Presenting aggregated data of all diabetes types together makes it impossible to interpret the data meaningfully for any one type of diabetes. In order to segment the data, it needs to be collected differently. Until research and reporting protocols are changed, the data will fail to adequately serve its purpose. Our request is simple: the CDC needs to release data segmented by diabetes type. There is continued public confusion over what the differences are between Type 1 and Type 2 diabetes. It is important that the CDC not further this confusion with unspecific data, and even more critical that those who rely on the data have accurate information. This data is relied upon by people all over the world - including researchers, journalists, and students. It needs to be accurate. 1. Sign and share this pledge. Join us in educating the global community about this chronic disease and fighting for a cure! 2. Use Aidbox, which adds a image to your email signature, helping you to raise money and awareness with every email you send. Easy, effective and free. Beyond Type 1 was founded in 2015 by Juliet de Baubigny, Nick Jonas, Sarah Lucas and Sam Talbot. 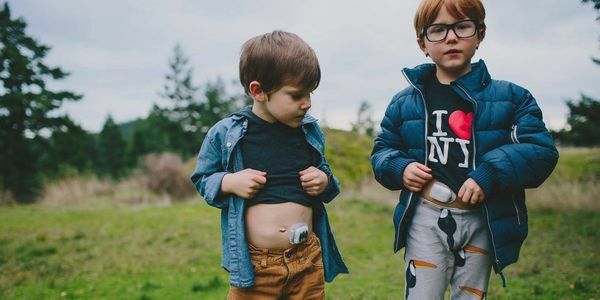 A new brand of philanthropy leveraging the power of social media and technology, Beyond Type 1 is changing what it means to live with Type 1 diabetes. By educating the global community about this chronic, autoimmune disease, as well as providing resources and support for those living with Type 1, Beyond Type 1 bridges the gap from diagnosis to cure, empowering people to both live well today, funding a better tomorrow. 100% of every dollar raised directly supports the most promising global efforts and programs working to educate, advocate and cure Type 1 diabetes.